minxeats - recipes, recaps, and restaurant reviews: Seasons Eatings! Ever feel like getting out of the office on a weekday and doing something fun for a change? 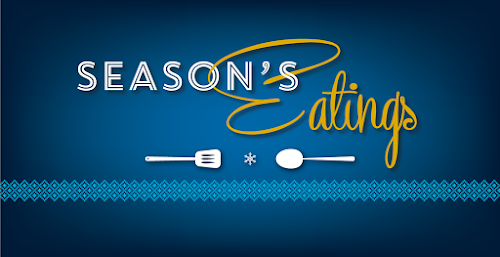 Then Visit Baltimore's annual Seasons Eatings event is for you. Between Monday, December 5th and Friday, December 9th (next week! 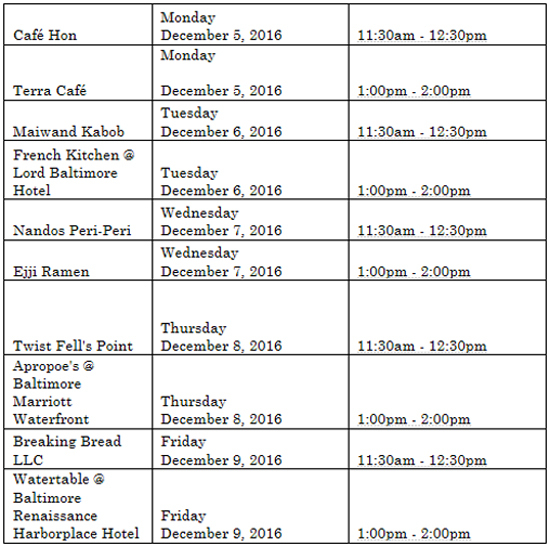 ), the Baltimore Visitor Center at 401 Light Street will be the site of free cooking demonstrations by local chefs. Stop on by, sample the chefs' dishes, and take a recipe to try at home. Here's the schedule.